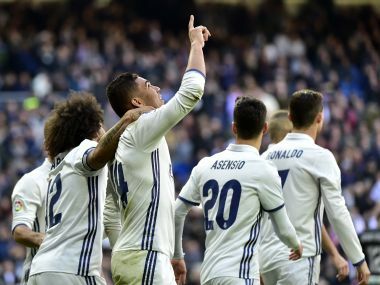 Madrid, Spain: Cristiano Ronaldo paraded his fourth Ballon d'Or and powered home his first goal of 2017 as Real Madrid equalled Barcelona's Spanish record 39-game unbeaten run with a 5-0 demolition of lowly Granada on Saturday. The Portuguese was honoured by previous Ballon d'Or winners to have played for Madrid including Luis Figo, Ronaldo, Michael Owen and his coach Zinedine Zidane before kick-off. 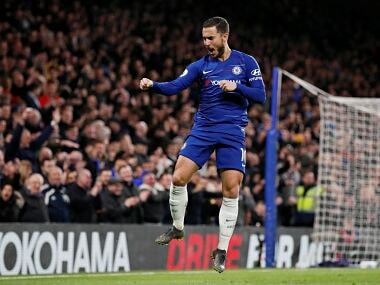 And Real's relentless run stretching back to April last year continued once the action got underway as they scored four in the opening half-hour. Isco and Karim Benzema slotted home from close range before Ronaldo, who had been rested for Real's 3-0 Copa del Rey win over Sevilla in midweek, bulleted home a header from Marcelo's cross. Another simple finish from Isco made it four before the break and Casemiro turned home James Rodriguez's free-kick for the fifth after half-time. 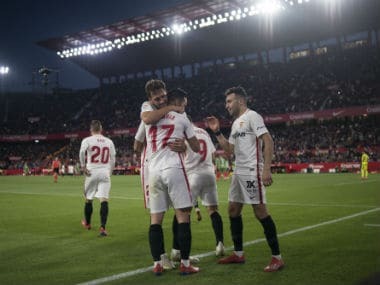 Defeat leaves Granada firmly rooted in the relegation zone with just nine points from 17 games. At the top, Barca can close back to within three points of the leaders with victory at Villarreal on Sunday. Zidane insisted on Friday that he is keen to keep Ronaldo fresh with Real facing a heavily congested fixture list between now and the end of the season. The Frenchman made four changes from the side that saw off Sevilla with ease in midweek with Keylor Navas returning in goal and all of Ronaldo, Benzema and Isco coming in up front. Once again Zidane was vindicated as all three of the frontline scored in a rapid start. The hosts got a break for the opener as Isco could have been penalised for a trip on Sergi Samper before he exchanged passes with Benzema and slotted low past Guillermo Ochoa. Madrid were also fortunate for the second as Benzema appeared offside when he prodded into an empty net after Ochoa tamely parried Luka Modric's shot into his path. Real captain for the day Marcelo marked the 10-year anniversary since his debut with a pinpoint cross from which Ronaldo powered home his 17th goal of the season. And with the Granada defence once again pulled apart by Madrid's movement, Modric's low cross found an unmarked Isco for a simple finish at the back post for his second of the afternoon. 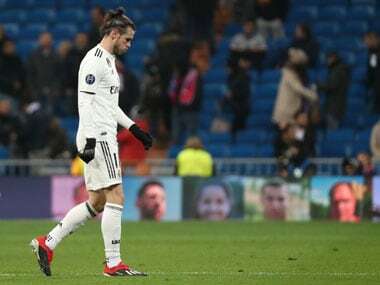 Madrid understandably eased off in the second half with the possibility of another 19 games to come in the next two months as Toni Kroos, Isco and Marcelo were replaced to hand them some extra rest. However, the European champions did net a fifth just before the hour mark when Casemiro was left unmarked to bundle home substitute James Rodriguez's free-kick at the back post.